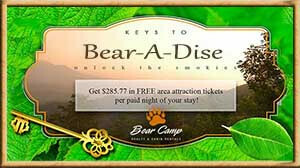 A Wintery Delicious Treat - Bear Camp Cabin Rentals. While you stay with Bear Camp Cabins during this snowy wintery mix, don’t worry about being snowed in, you can still satisfy that sweet craving! 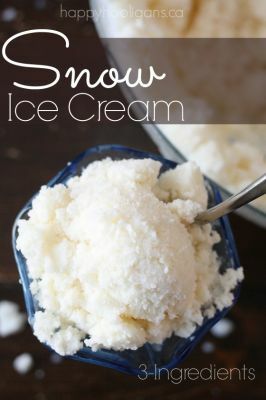 Happyhooligans.ca posted this super delicious and super easy 3 ingredient snow cream recipe. Mix all snow and sweetened condensed milk and vanilla together and enjoy! This decadent treat is something to make this snow storm Jonas or any snow storm memorable!